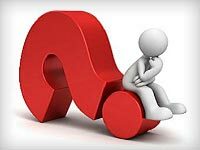 Getting your OHS information—what works best for you? The Institute for Work & Health (IWH) wants to hear from you. How do you prefer to receive the information you need to help prevent work injury and disability? Complete our short survey. Help us and our partners in Ontario’s health and safety system more effectively get research evidence into your hands. What factors play a role in whether a work-related injury results in time off work? According to a recent study by IWH Scientist Dr. Peter Smith, they’re not what you might think. Smith discovered the differences between lost-time claims and no-lost-time claims have less to do with the nature of the injury (e.g. severity) or the characteristics of the individual worker (e.g. older) and more to do with two workplace factors. These are the physical demands of the work and the workers’ compensation premium rate paid by the employer. New immigrant workers as a group face a higher risk of work-related injuries. But most occupational health and safety messages don’t reach them due to language barriers. In a recent study, the Centre for Research Expertise in Occupational Disease teamed up with a community health centre serving a large South Asian population to explore the use of images to spread key injury prevention messages. 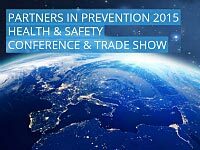 Going to Partners in Prevention 2015? See the new eOfficeErgo at our booth! Canada’s largest occupational health and safety conference and trade show takes place in just two weeks. Partners in Prevention 2015, to be held April 28 and 29 in Toronto, features two presentations by IWH Senior Scientist Dr. Ben Amick. In the first, he introduces two leading indicator tools to help organizations manage health and safety risk. In the second, he and Kim Slade-Traynor of the Public Services Health & Safety Association (PSHSA) share findings on high-engagement training to control musculoskeletal disorders (MSDs) in office and health-care settings. What challenges do precarious workers face just getting to work? How do these commuting challenges in turn affect their prospects of finding better employment? In a recent IWH plenary, IWH Adjunct Scientist and McMaster University Assistant Professor Dr. Stephanie Premji shared her research on commuting issues among new immigrants in precarious work. You can listen to that plenary, now available as a slidecast. 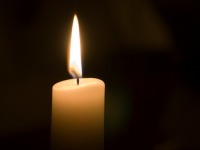 April 28 marks the National Day of Mourning to commemorate workers who have been killed or injured on the job, or who have fallen ill as a result of their work. At 11 a.m., take a moment of silence to reflect on the thousands of Canadians currently living with the outcome of a workplace tragedy and vow to ensure all workers return home safely at the end of their work day. Or participate in one of the many ceremonies taking place across the province.